It’s 40 years since Geoffrey Boycott scored his hundredth hundred at Headingley on August 11, 1977. Here the cricketing legend looks back on that momentous day, talks about growing up in West Yorkshire and shares advice for those looking to break into the world of cricket. 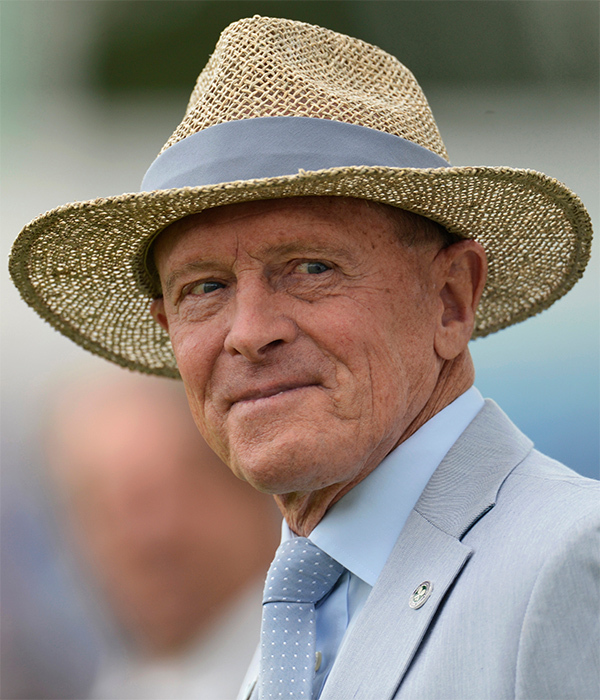 Meet our Neighbour of the Month: Geoffrey Boycott, the former Yorkshire and England cricketer and sports commentator, who will be hosting a series of evening talks: ‘An evening with Boycott & Aggers’ to raise money for charity. Q: How did you get started in the world of cricket? A: I was born in Fitzwilliam, West Yorkshire, and my first recollection was playing cricket in the street. There were lots of terraces and rows of houses, similar to Coronation Street, where I used to play cricket right in the middle. You had to hit the ball straight or it would be pinched by a dog or one of the “Mrs” would keep it. You would then have to ask for your ball back. This was a very safe area, where everyone knew everyone. Your mother knew where you were, too. It was a great community and environment to play in. Then to celebrate the Festival of Britain in 1951, the government wanted to raise the spirits after World War II. They held a competition in primary schools, a 20 over knock out competition. This was the first organised cricket that I had ever played at the age of 10. A newspaper published all the school results for the best batsman, bowler and all-rounder. I did not win the best batsman, but won the all-rounder prize. My uncle knew I had talent, so sent me to Johnny Lawrence, a coach, who played for Somerset. The cricket was held in a large room of about 35 yards long with two nets inside and rubber mats. In winter, it was freezing cold and I would freeze my nuts off, but this was the best time of my life. I would change on two buses to get there, being the first to arrive and last to leave. And that’s how it all started. The hundredth hundred at Headingley on August 11, 1977? A: I was extremely nervous because of the expectation: I was seen as the best player in England and a Yorkshireman man. There was an expectation that I would score 100. This expectation made me even more nervous. But if you are nervous, it shows you care. You just have to learn how to control those nerves. The night before, I did not get much sleep, then over-slept and was late to the nets. When he [Greg Chappell] bowled, I knew when the ball was about half way, where and how I was going to hit. Instinct took over. It was a surreal and magical moment. Q: Tell us about your series of shows with Aggers? A: We are organising a series of talks around the country, called “An Evening with Boycott & Aggers – Boycott’s 100th Hundred – The 40th Anniversary Tour”. The shows are usually most popular after the Ashes. And we like to beat the Australians! Q: And your funniest moment during your career? Q: If you were stranded on a desert island, what would you take with you? A: I would like to take a set of Wisdens and would study score cards to learn when people were caught out. I would also take Kim Bassinger, she is just about my age, 63 and is fit as a butcher’s dog. Then I would have something to put me to sleep and something to keep me awake. A: I have a lovely 200-year-old house with about 36 or 38 rooms. There is a nice garden, where we have just been raising money for The Yorkshire Air Ambulance. I visit the local shops and petrol station nearby. Q: If you could play cricket with any celebrity – who would it be? A: I would like to play George Headley. In the Thirties and Forties, the West Indies started to play cricket and he was just unbelievable. A stunning player – I would have liked to play with him. Sydney Barnes – he is the greatest bowler ever. And I would like to play Shane Warne – the challenge would be to play the best or have them on my team. A: I know what I don’t like about London: the traffic. If I had to live there, I would want a chauffeur with a limo, an expense account and a penthouse. I do like the theatres, some of the restaurants and it’s a good place to live for all the big events. A: Do I ‘ell – I get someone in. I can’t even boil an egg. A: The most important room in my house is my bedroom. My house was run by Sir Robert Ogden for about 23 years with offices in lots of the rooms. The kitchen used to be the boardroom. There are beautiful high ceilings, shutters, carpet and wallpapers. I grew up in a terraced house with a zinc bath and an outside toilet. My favourite items these days are chandeliers. I have a few of them in my home. Q: And finally, what advice would you give to anyone who wants to break into cricket or commentating? A: Follow your dreams and live them, especially when you are young. Not just for cricket, but for whatever you decide to do. Don’t wait until you are 50 or 60 years old – instead do things with your life and don’t regret it. And don’t be afraid, challenge yourself. When someone offers you a new opportunity, say ‘yes’. There is no second chance, so do things with your life.